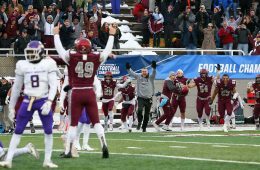 The eighth-seeded Raiders knocked off sixth-ranked James Madison 23-20 at Andy Kerr Stadium on Saturday, thanks to junior Chris Puzzi's 38-yard field goal as time expired. 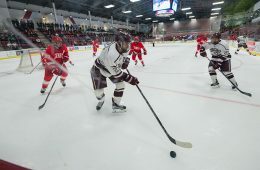 The win lifts Colgate to an NCAA Division I Championship Quarterfinal matchup against No. 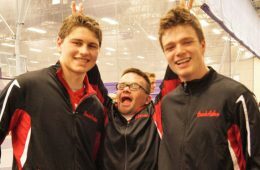 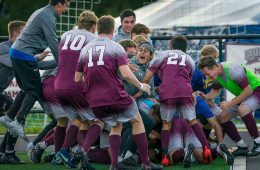 1 North Dakota State next weekend in Fargo. 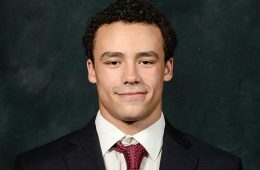 Colgate men's track and field junior Oliver Moe has been named to the United States Olympic Committee's Finding Leaders Among Minorities Everywhere (FLAME) program. 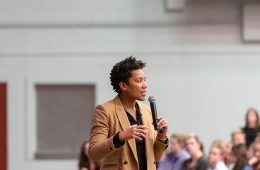 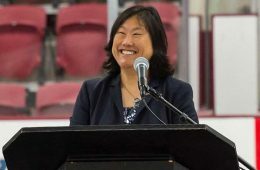 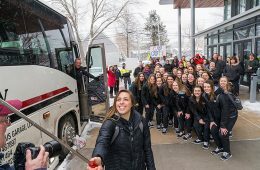 Members of the Colgate community gathered on Wednesday morning to send the women’s hockey team off in style as they embarked on their first trip to the Frozen Four. 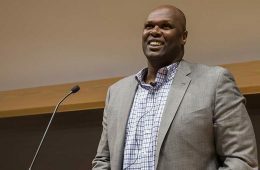 Former Colgate men's basketball All-American and NBA star Adonal Foyle ’98 has been featured in the NCAA's "After the Game" series. 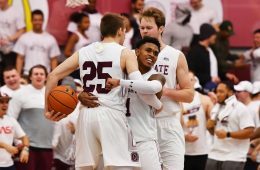 Foyle discusses how his Colgate education laid the groundwork for his life after basketball. 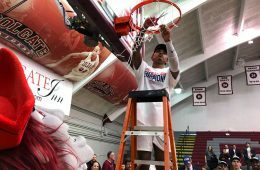 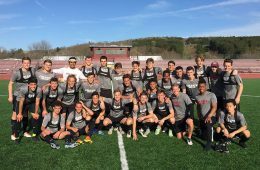 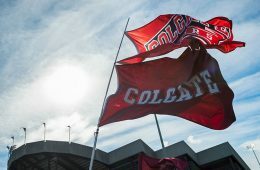 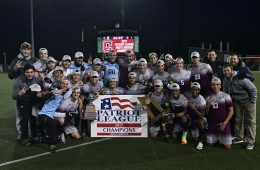 The Colgate men's soccer team earned a 1-0 win over Holy Cross to claim its second-straight Patriot League Championship and the league's automatic berth into the NCAA tournament Sunday afternoon at Loyola's Ridley Athletic Complex.